The month of February is always the time for the Safir International Tournament in Örebro. In 2014 the five day event, which comprises the Swedish Junior and Cadet Open plus the Safir International, will be held from Wednesday and there will be a new look. The venue, the Idrottshuset has been renovated; a new hall has been built next to the original hall which was constructed in 1946. All matches will be played in the two halls, a change from previous years where up to 44 table tennis tables were in use in five halls on three floors. The first two days will witness the Swedish Junior Open; on Friday 21st February the Elite Class, including Jan-Ove WALDNER, will be held with the concluding two days being dedicated to the Swedish Cadet Open. 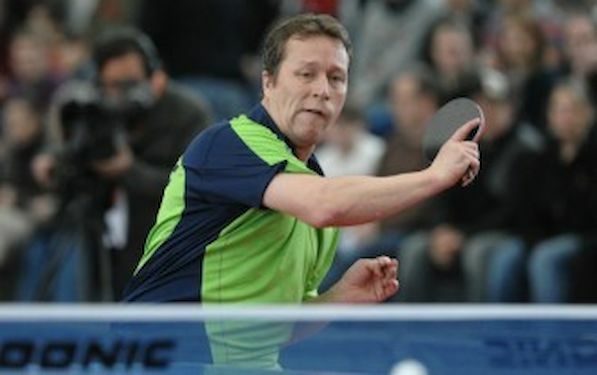 Notably 40 national associations have sent entries; in addition to Europe, players from the continents of Asia, Africa, Latin America and North America will be present with no less than 121 boys and 92 girls taking part in the competitions organised under the auspices of the ITTF Junior Circuit. Meanwhile, the Elite Class, the Nittaku Cup sees an entry of 148 players with XU Hui, Robert SVENSSON, WANG Dian Yang and Jon PERSSON being the top four seeds. Hampus NORDBERG, Fabian ÅKERSTRÖM, Harald ANDERSSON and Jan-Ove WALDNER complete the top eight names. An impressive entry in terms of both size and quality; it is anticipated that more than 480 players will play over 2,000 games; over 300 players, coaches and managers from foreign shores will be present with in excess of 100 umpires and 200 volunteers combining to facilitate proceedings.